ART BIKERS: Sculpture Factory at Switch Dartmouth! Sculpture Factory at Switch Dartmouth! More than 200+ participants were eager to do their shift at Shift Factory – a collaborative station-based sculpture project – alongside the Art Bikers on a windy Sunday in celebration of Switch Dartmouth. Families and children worked at crafting brightly coloured felt balls connected with long tubes throughout the busy afternoon to create an evolving sculpture! Next came the task of wet felting in the wind! The process of wet felting is exciting because it involves soaking colourful dyed wool with soapy water, massaging it for about 5 minutes so individual fibres stick together, and then tahhh-dahhhh: a felted ball! Dyed wool roving, bubble wrap, and soapy water is all you need to wet felt! Many children tried wet felting for the very first time! Next was the rinse bucket and the exciting salad-spinner drying station to remove excess water. A few towels helped dry off the the balls before they were delivered to the crew making the growing sculpture out of tubes and felted balls. Parents and children worked together to make more than 100 balls! The added challenge of building out in the elements meant that teamwork – and lots of emergency hockey tape – was needed, but over the course of the day the sculpture grew and changed form thanks to many children and families! 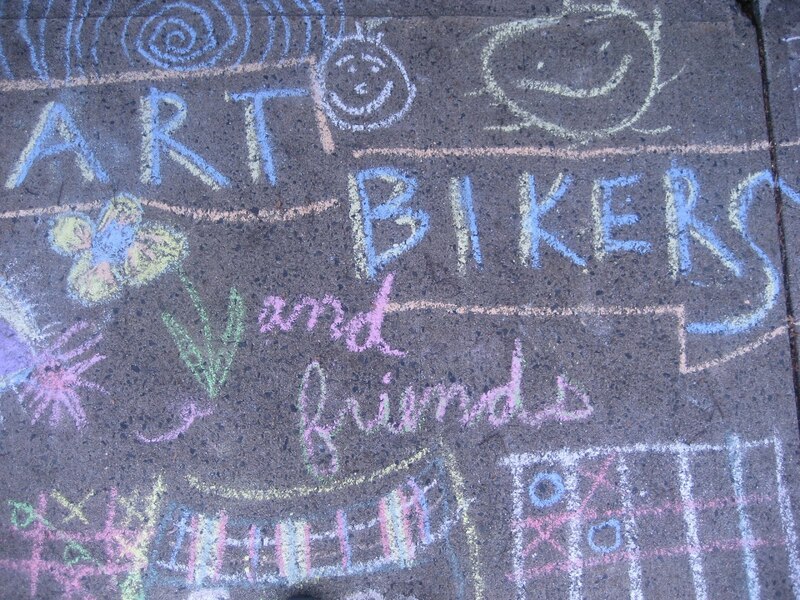 Art Bikers first visit to Ardmore Park! Brainstorming Session at The Green in Fairview! Cyclozoatrope Pop Up on the Halifax Commons! Our first event is: Switch Dartmouth! More Highlights of 2018 Training!